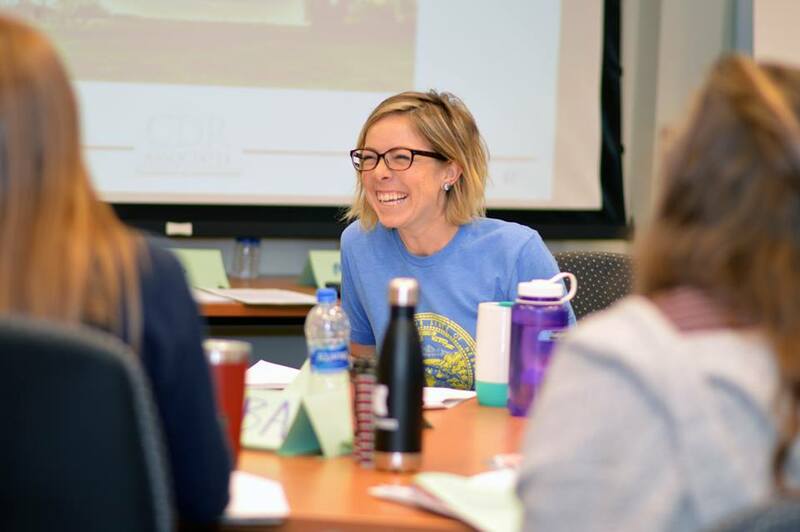 The Environmental Conflict Management short-course Sept. 5 and 6 brought together nearly 20 graduate students and local state and federal agency workers to learn how to manage natural resources disagreements. The two-day natural resources course, taught by Dr. Christopher Moore of CDR Associates, who has helped management or mediate conflicts in close to 50 countries around the world, is designed to help students develop the skills need to facilitate and manage conflict over environmental issues. The program blends presentations, group discussions, conflict analysis, and strategy design exercises to create an engaging learning environment. “No matter which area of natural resources you pursue as a career, at some point as you progress in your field, you’ll be called upon to be a facilitator of a group on an issue,” said Dr. Mark Burbach, geoscientist with the Conservation and Survey Division at the School of Natural Resources and host of the course offered in even years. “This course is about appreciating the importance of doing it as best as possible. Despite a conflict, positive outcomes you never foresaw can come from a well-conducted conflict management session. In his lecture, Moore emphasized how important preparation was in managing a group of people from opposing points of view on an issue. Over the course of his career, Moore has specialized in assisting government agencies, private sector and non-governmental organizations in resolving conflicts with compromise and solutions on public policy, water, land, natural resource and energy development. He’s also provided leadership in peacebuilding initiatives after violent conflicts and political transitions.